What was the first mobile computer to actually be marketed as a "laptop"? Conceived and created by Manuel Fernandez, founder of Gavilan Computer Corp., the Gavilan SC was an early laptop computer and was the first to actually be called as such when marketed to consumers beginning in May 1983. 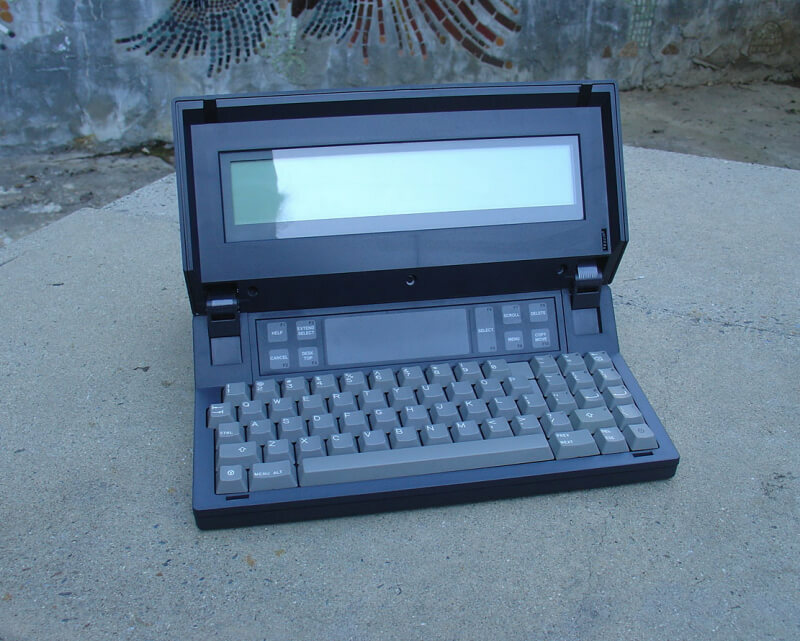 Priced at $4,000, the first ever "laptop" weighed 9lbs (4kg) and was powered by a 5MHz Intel 8088 alongside MS-DOS. Other specifications included 64KB of static CMOS memory, a floppy disk drive, a touchpad-like pointer, a 300-baud modem. Although it was anything but small by today's standards, the Gavin SC was more compact than rival IBM PC-compatible portable computers such as the 28lb (13kg) Compaq Portable. Gavilan Computer Corp. declared bankruptcy and closed in 1985.